Here are the nearby NY Craft Beverage producers including breweries, wineries, cideries, and distilleries. After an exciting day full of adventures you can pop in and enjoy an ice cold brew, a refreshing glass of wine, or perhaps sip some old-fashioned Adirondack moonshine. Please be responsible and don’t drink and drive. You could always fill a growler or bring a bottle back to share around the campfire. 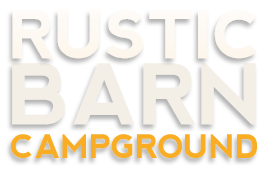 The campfire icon shows where Rustic Barn Campground is located in relation to all these places.